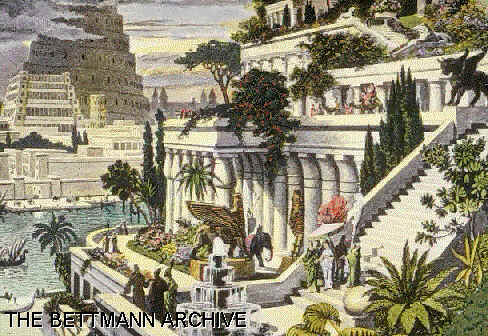 The hanging gardens of Babylone was built by King Nebuchadnezzar II about 600 B.C. The gardens were laid on a brick terrace about 400 feet square. Water was lifted from the river below to irrigate the gardens.